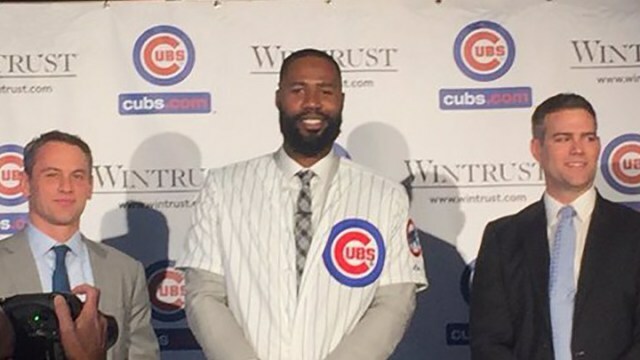 This week, Jason Heyward was formally introduced as a member of the Chicago Cubs. It was official coronation of what has been viewed as the ultimate ship jumping experience of the Cardinals/Cubs rivalry, and perhaps the most significant jersey swap between the two clubs since Lou Brock and Ernie Broglio changed addresses for each other. However, the similarities between Brock and Heyward should start and immediately stop right there. Because as the press conference continued on and Heyward addressed the factors that went into the decision he ultimately settled on, one element amongst all others became abundantly clear: Heyward has no desire to be “the man”. It is a curious viewpoint of what makes what Chicago offered stand apart, especially in light of his repeated approval of what the Cardinals and the baseball environment in St. Louis offered him throughout the past year. Was it that one losing series against his now current employer have changed his tone in regards to where he wanted to spend the prime years of his career? Or was it that he never truly foresaw himself being a Cardinal long-term in the first place, as he did become a member of the team as part of a trade instead of by his own desire? And while he made a point of saying that he did not “have one bad thing to say about the Cardinals organization,” and that no one “should be surprised if they win a World Series any year”, his actions and supportive statements for his decision in moving on defeat those empty compliments immediately. However, the truth that most loudly resonates is that by stating that despite saying the requisite good things about his former club, what Heyward’s comments about the future prognosis of the team most strongly do is show a indicate an uncertainty that Cardinal management and ownership can continually guide the team in a competitive direction. Furthermore, it undermines the abilities of his former teammates, many of which are in the same age bracket as him, if not younger. The cores of the Cardinals and Cubs are very similarly aged, with Michael Wacha, Carlos Martinez, Kolten Wong, Randal Grichuk, Trevor Rosenthal and Stephen Piscotty all being age 25 or younger. In the clear declaration that the Cubs did not have to offer as much as the Cardinals did to successfully land his services, implies there is something deeper to his decision. And the arrows point towards a belief that the Cubs are simply an easier –not better— place for him play. He appears to be a player that is more comfortable being a part of the solution than the reason for it. Major League Baseball and the big business contracts that come with it is not a game that is played with your friends in a sandbox. 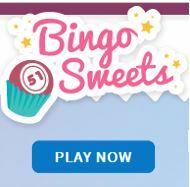 It is a game where men take responsibility on their shoulders for eight months a year and live up to their paychecks. Heyward as made a career thus far of being a jack of most trades, and a master of one. In St. Louis, he would’ve have been asked to develop into the heart of the order bat that his skill set and contract demand he become. Meanwhile, he will be able to comfortably set the table in Chicago, comfortable with the fact that Kris Bryant, Anthony Rizzo, Kyle Schwarber and others will be counted on to clear it off. All the while being able to still do all of the “little things” that make his potential (which may be his greatest tool still) so enticing. What suited Heyward best was getting the top notch contract, but only a fraction of the responsibility he would have been aligned with in St. Louis. And in all honesty who can blame him for liking that? Being paid like a leading man, but ultimately being tasked with the role a secondary supporting actor behind the likes of Bryant, Rizzo, Schwarber, Ben Zobrist, Jake Arrieta and Jon Lester –almost all of whom he has a higher take home than. He continued on to address the differences between the two organizations, he spoke of the “winning attitude and culture” of the Cubs –a topic that is such a softball it is not even worth swinging at— before continuing further into gushing over the ages of the Cub roster. Again, its proper protocol to put over your new team, but this is a contextual nightmare. Often times, it comes down to what a player has a taste for, and where he can best find that flavor. What the John Mozeliak and Bill DeWitt wanted Heyward to become was the axis of where the team would go into the next decade, a heavy cross to bear when handed down from an organization of the level of sustained and historic success of the Cardinals. Instead, what he decided to pursue was the more comfortable role of being a role player without a defined role moving forward on his new team that can contribute a part of –but not carry too proportionate of a load— as a part of an ensemble. Some men are built to lead, and others are built to follow. And Jason Heyward proved what part of that scale he sits on. No harm, no foul, but a great thing to know before it was too late. Despite the changing dollar value of the game, the $200 million contract neighborhood should still be reserved for those that are ready to change the game nightly, as opposed to just being another name on a box score.